Getting the best background for your project is crucial if you want to be successful at eCommerce. Let’s take a look at Eveprest multipurpose PrestaShop theme which is made to meet all sorts of requirements for your business. Eveprest is made by TemplateMonster and can be considered one of its best works. The theme has a bunch of ready-made pro modules and logos designed to fit in with all sorts of businesses and their needs. It is also delivered with quite an array of documentation. TemplateMonster will keep on updating and improve Eveprest, increasing the template’s versatility and potential with every update. Eveprest was developed to be used in 4 of the most popular business spheres online. It includes 4 themes for each one of them: fashion, electronics, spare parts, and furniture. Every theme has 4 different layouts, which contribute to customization potential and are enhanced with rich functionality. The theme is packed with a long list of pre-designed pages to help start up a website as fast as possible. It also includes 8 color variations to spice things up a bit. Each of the topics has more than 128 variations of just the front page. So, in total, your front page can look in more than 512 different ways. But the theme supports the addition of new layouts, so it makes for even more possibilities. The layout of this store was designed in a way, appealing to customers willing to purchase clothing. In the theme’s header, there is a browser-wide carousel slider to display your stock to your customers. The template’s ghost elements help keep the look of the page fresh and clean. Sticky MegaMenu and Ajax-based search form help the customers find the items they look for faster. A wishlist lets the visitors of your store save items they like to return to later. 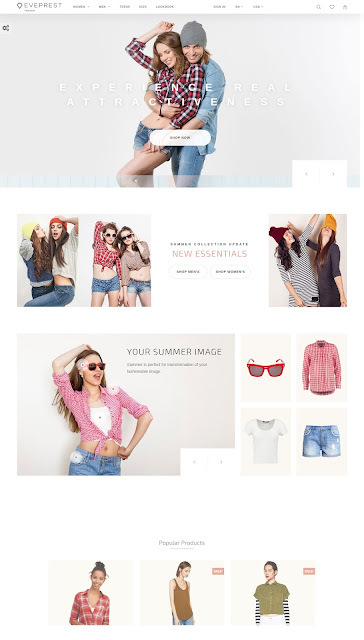 The theme also features support of LookBook, which displays the clothing on models while you hover your cursor over the images. It also has a bunch of currencies and languages options for your customer’s convenience. Product banners, advanced filters, Quick View, and Cloud Zoom functionality enhance the users’ shopping experience. TM Collections module is helpful for creating collections of outfits and sharing them with friends on social medias. This theme is also designed in clean style. Much like the previous one, it has a slider in its header to showcase products. 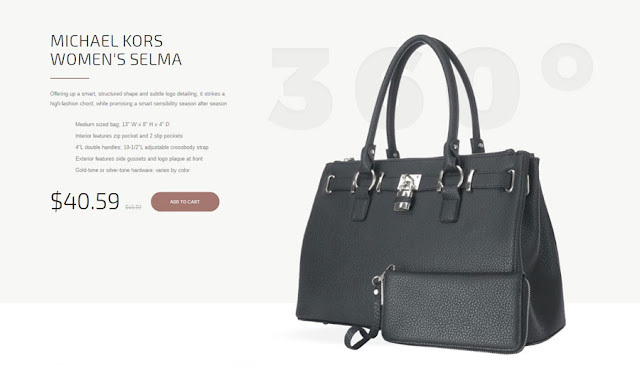 Every item is accompanied with pricing details, short description, a CTA button and a carousel image gallery which help customers make their mind and purchase your products. 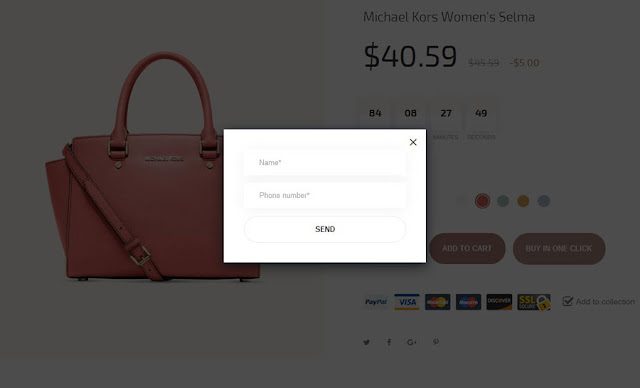 Card-based lists on the main page highlight product banners and items featuring a functional hover effect. Rational use of white space helps the page keep its balance and not overwhelm the customers with information. 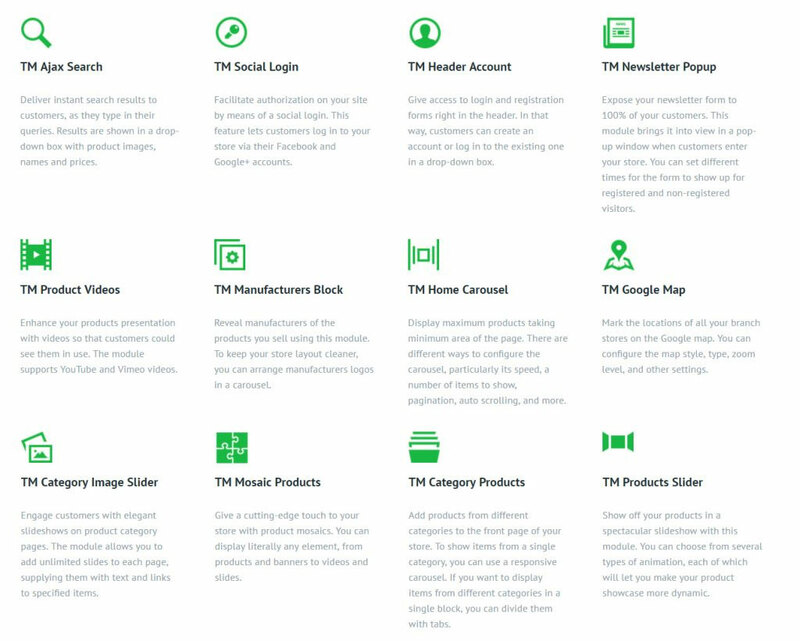 Next to the popular products block you’ll find a block dedicated to recent blog posts which help keep the users informed. Remember LookBook from the first theme? Well, it’s also supported here. It’ll help your customers see how your furniture looks in the apartment environment and not just on a white background. There are hot points you can click and see additional information about each item. This theme is better designed for touch screen. Big icons and main navigation elements help keep this design touch-friendly. A sticky hamburger icon presents the main navigation panel. You’ll also find a social login form, Ajax search, and the shopping cart up at the top of the page. This theme is made in Material style, which makes it stand out from the previous two. The page looks simple, but also attractive. The style is completed with a Mosaic Products Grid. It lets you showcase your best items, banners, and videos first. The footer of this theme is quite informative. Above it, you can see a set of the highlighted company benefits standing behind the site. Next to it there’s a carousel slider of brands whose products are sold on the site. There’s also a newsletter which your customers can subscribe to and get emails about all of your latest updates. Much like you would expect it, this theme is for cars and bikes sites. An advanced product filter is placed in the header so that the customers have a much easier time finding the exact parts they need. 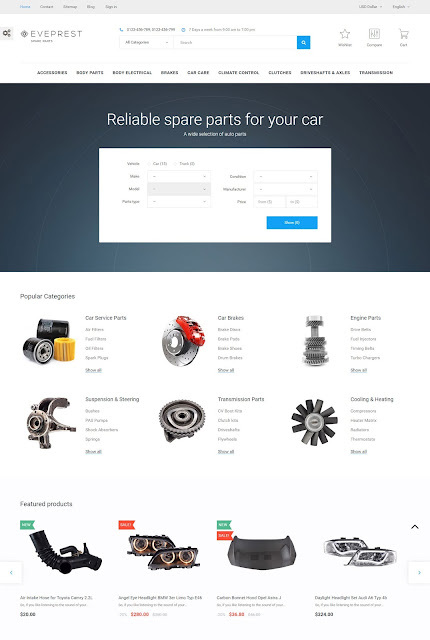 The filter helps them sort the search results by vehicle, make, model, manufacturer, etc. Grids contain all the traditional categories. Enough white space makes the texts easily readable and scannable. Popular products are supplied with neat product badges and a functional hover effect. It changes a product thumbnail for a different one when you place your mouse over it. Pinned MegaMenu stays on top of the page giving customers quick access to the main categories of your site. Wishlist, compare, shopping cart, live search bar, a drop-down menu with all categories, and contact details - all these items can be found at the very top of the web page. TemplateMonster's custom Mega Layout Builder is here to create usable, functional, and flexible pages. With Builder, you can choose from multiple layout blocks. In other words, you can adjust the footer, header, top column, and home the way you like or need. You can also select from the 4 pre-made layouts for a rocket start of your business. Saving $700 with TM Premium Modules? Yea, Why Not? Eveprest is delivered with 20+ premium modules that can make your site much more powerful and user-friendly. They give you the possibility to choose from multiple ways of smart content presentation. For instance, you may entertain the users with sliders and videos, set up a better contact with the targeted audience by means of the newsletter pop-up. Appreciate shoppers time, save it with an Ajax-based search that helps to find the desired items in a couple of minutes. Do you remember that we have already mentioned above that Eveprest still continues to grow? 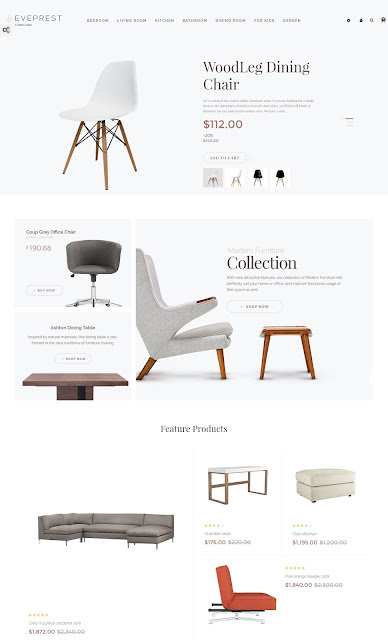 Great news, one more topic has been recently added to the bundle of this multipurpose PrestaShop theme. It provides a beautiful design for one-product stores. So, how the topic can help retailers improve the efficiency of their product showcase and speed up the checkout for customers? Just like other themes from the Eveprest bundle, One-Product Store is shipped with a front-end customizer, language, and currency switches, dynamic parallax blocks, etc. But there are a couple of things that differs this TemplateMonster theme from the others. Theme's innovative functionality is able to inflate both your and customers' experience. Online buyers can't try on or touch the item they are going to order, but they wish they could. This is a challenge, but TemplateMonster's team developed a 360-degree view module to overcome it. Such kind of experience makes online shopping maximally close to the in-store one. With this module, customers can view the item from all angles, rotate its image 360 degrees with a mouse or touchscreen of a mobile device. Such extensive product view will urge them for the purchase as they'll be more confident that the product meets their parameters. Undoubtedly, the level of customers satisfaction will grow and this will lead to the reduce of product returns. The problem of cart abandonment at the last moment is a common problem for all retailers. This mostly happens because it takes too long to complete the purchase. 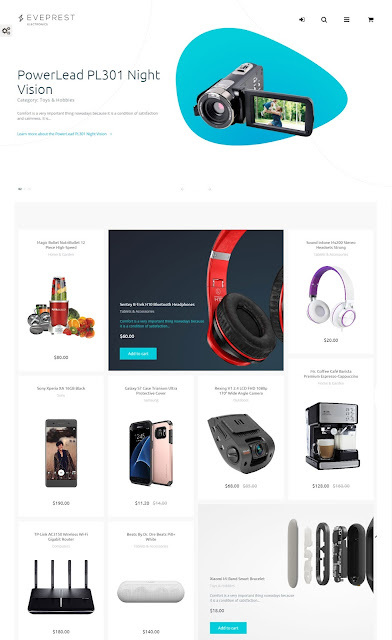 For that reason, TemplateMonster's developers have integrated this multipurpose PrestaShop theme with a module that brings the shopping process to a single click. Yes, the customers can make a quick purchase avoiding registration and multi-step checkout. They believe that this technology will not only minimize carts abandonment rate but also increase impulsive purchases. Would you like to know how the 1-click order module works? Customers click “Buy in One Click” on the product page. Next, they need to fill in their name and phone number to a pop-up form and click “Send”. That’s it – the order is complete. There’s a new menu item in the admin panel where you can see all the unprocessed pre-orders. Click on one of them and enter an individual page with the details specified in the pop-up form. Then contact a customer for some more details including their delivery address, payment and shipping methods. As soon as you fill in all the necessary fields, the pre-order converts to orders. Then you can handle it just like the regular order. Here is a short video about Eveprest recommended for viewing that will illustrate everything said above. Eveprest is a fully responsive and retina ready template. It's all-inclusive and suits for a variety of popular eCommerce projects. You pay $139 only for a single-site license and get free 24/7 support, extensive documentation, a pack of premium modules (which will cost you $1483), and a pile of ready-made logos that can be used for any of your personal or business projects. Build versatile layouts with Eveprest and outstrip the competitors. 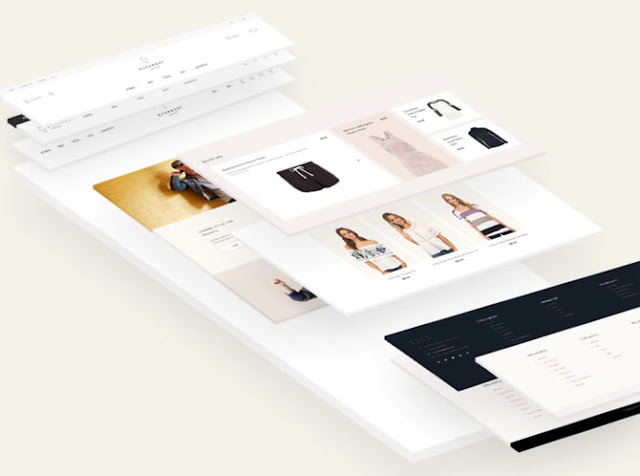 Pre-designed eCommerce layouts for the most popular business niches will help you launch your online project in an instant. Not quite sure that you will cope with your store customization? TemplateMonster service center will do the job instead of you, just contact the team. Are you willing to become a happy Eveprest owner? Great! Take action now!